Wood chips are located in the box underneath the product and kindled by hand. Generated smoke is gravitationally risen through the fresh air inlet mounted in the lower part of the chamber and the opened outlet to the atmosphere. Stream of smoke is moved by a small fan in order to make smoke density in all working zone equal. 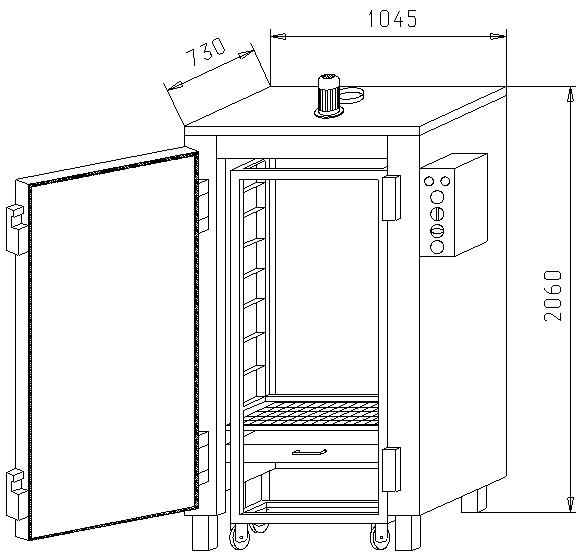 The chamber has a thermoregulation system with a 6 kW electric heater to maintain temperature during smoking process. 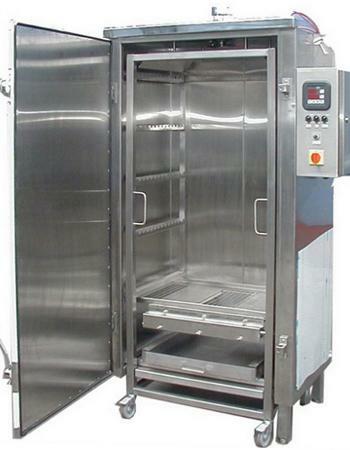 The chamber has a thermoregulation system with an electric heater of 6 kW which maintain the temperature during smoking.